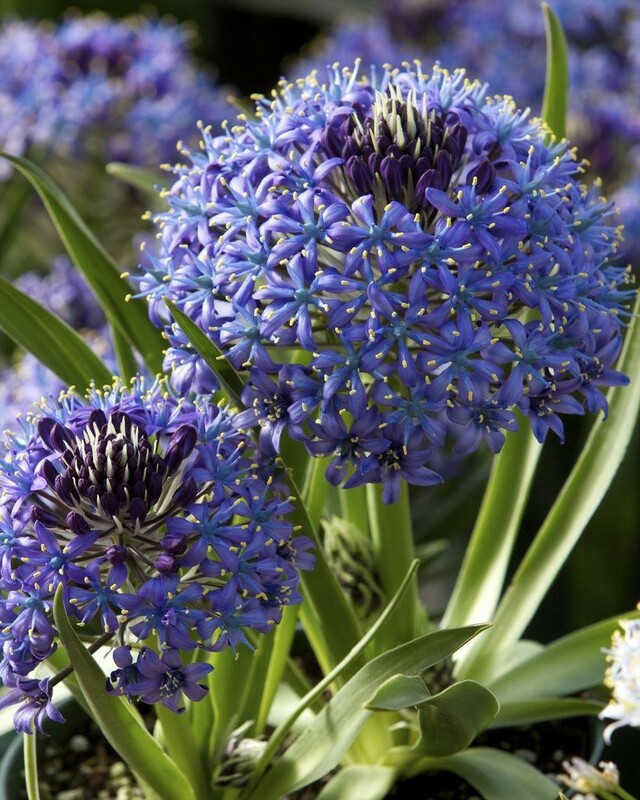 The pretty violet-blue flowered 'Sapphire Blue' is heavy blooming and hardier than standard Scilla peruviana. 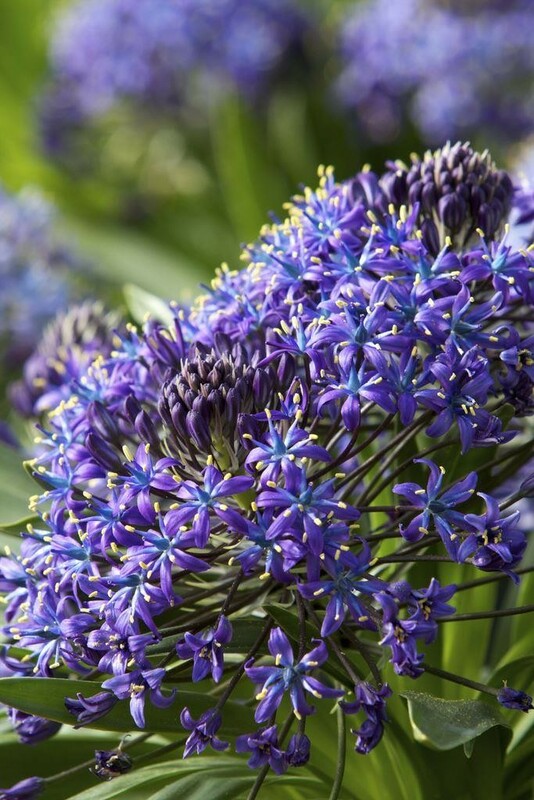 Its clumps of lance-shaped green leaves appear in autumn and remain attractive all winter, in late spring to early summer, it then produces upright, leafless stems that become lined with starry flowers to form broad rounded or conical clusters. 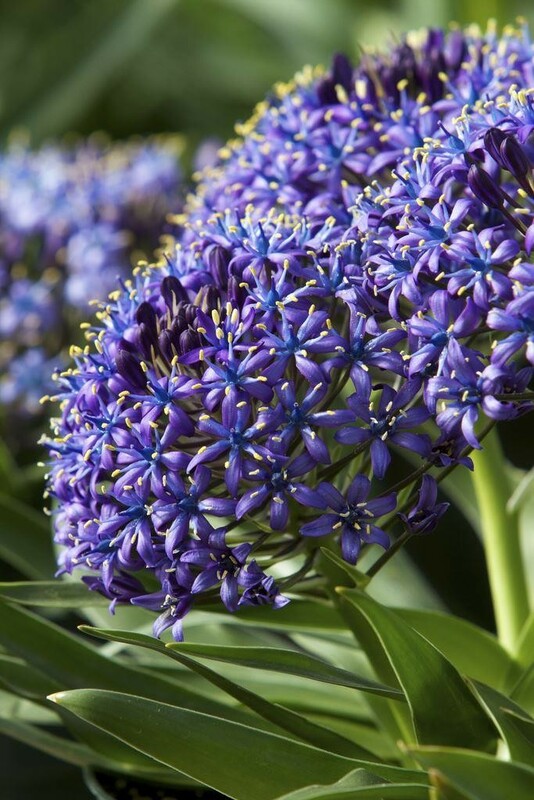 Each cluster holds as many as 100 flowers, so it really is something rather special, these flowers are violet-blue and attract bees in their droves. Once the heat of summer hits, it will retreat underground until the autumn. 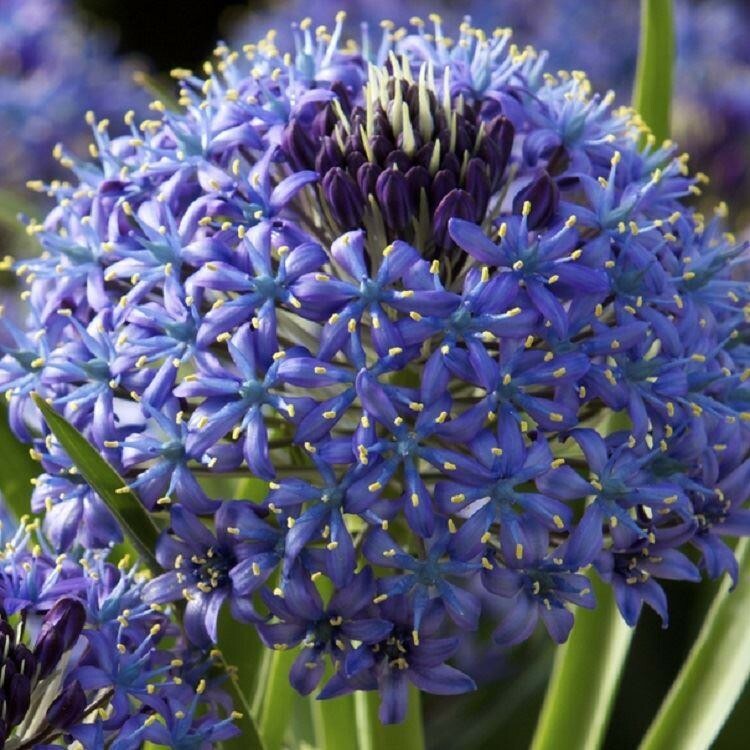 Supplied as a full approx 2 litre pot ready to bloom.